Emergency crews were called to a house fire in Broadstairs last night (February 26). Crews attended the property in Nelson Place at 11.25pm following the report. Crews discovered a small halogen spotlight on fire in the bathroom ceiling, with flames spreading to the surrounding insulation. Firefighters cut away at the ceiling and used a high-pressure hose reel jet to extinguish the flames. The fire is thought to have started as a result of overheating and insulation being too close to the light fitting. 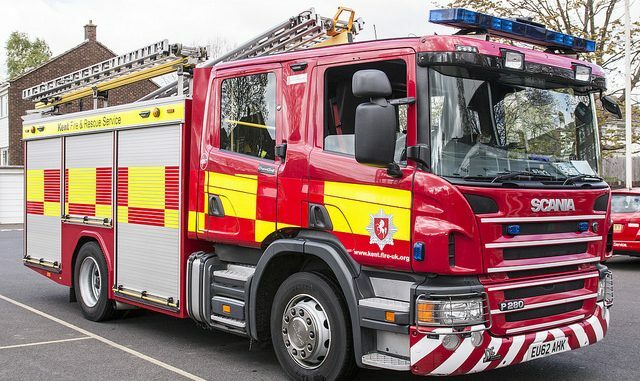 Crews advised the residents, who were safely outside on arrival, to keep the power off until a qualified electrician was able to check the rest of the lights and fit heat shields to light fittings to avoid a similar incident happening again. Crews also fitted smoke alarms at the property.